Paul Stanley is a painting by Art which was uploaded on February 10th, 2014. 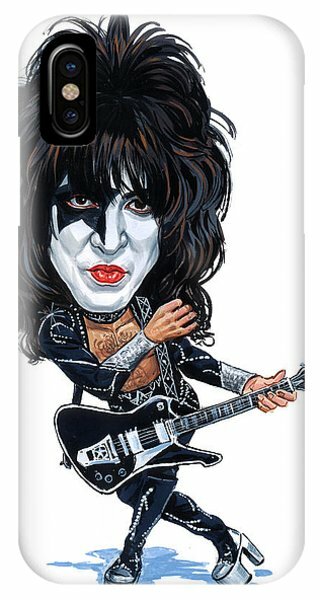 Stanley Harvey Eisen (born January 20, 1952), better known by his stage name Paul Stanley, is an American hard rock guitarist, musician, singer-songwriter and painter, best known for being the rhythm guitarist, co-lead vocalist and frontman of the rock band Kiss. He is of Jewish and German-Jewish ancestry; his mother was born in Berlin, Germany. He is the writer or co-writer of many of the band's highest-charting hits. Stanley established the "Starchild" character for his Kiss persona. Hit Parader ranked him 18th on their list of Top 100 Metal Vocalists of All Time. Gibson.com Readers Poll also named him 13th on their list of Top 25 Frontmen. Awesome work on the KISS pieces. 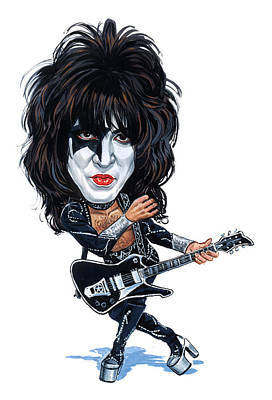 Even though Paul Stanley is my Fav If you had one of Eric Carr (the fox) I’d definitely would buy a print. Your art cracks me up. I love all of them this is so creative. Congratulations on all your sales.